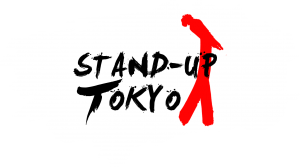 English Stand-Up Comedy in Tokyo Every Week! Tokyo’s flagship English Comedy Show, every Wednesday featuring some of the best of Tokyo’s comedy talent as well as up-and-coming stars. Whether it be laughing along to our regular performers’ killer material or chuckling in sympathy at a stand-up virgin being sacrificed on the altar of comedy… This has it all! Great acts such as Hannibal Burress, Eric Andre, Yuriko Kotani, Matt Okine, Phil Wang and Steve Bugeja have popped up on this stage so you never know who will see! But laughter is guaranteed. We’ve even been featured on NHK! Also, get in touch if you want to get up on stage and give it a go! We always save a spot for a debutant. 1500 yen incl free House Drink. Also, make sure you try the tasty pub food from the Good Heaven’s staff! The event is no-smoking.